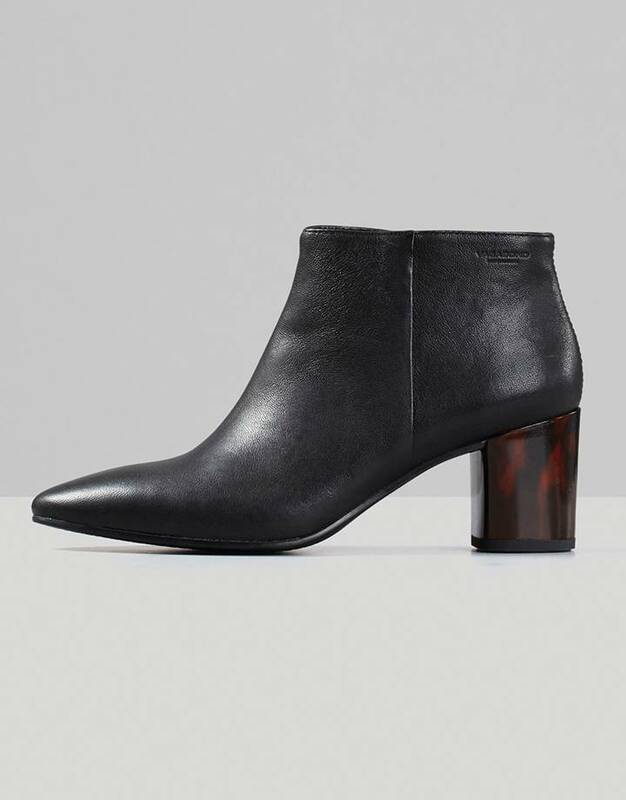 Ankle high boots with a prominent tortoise heel. 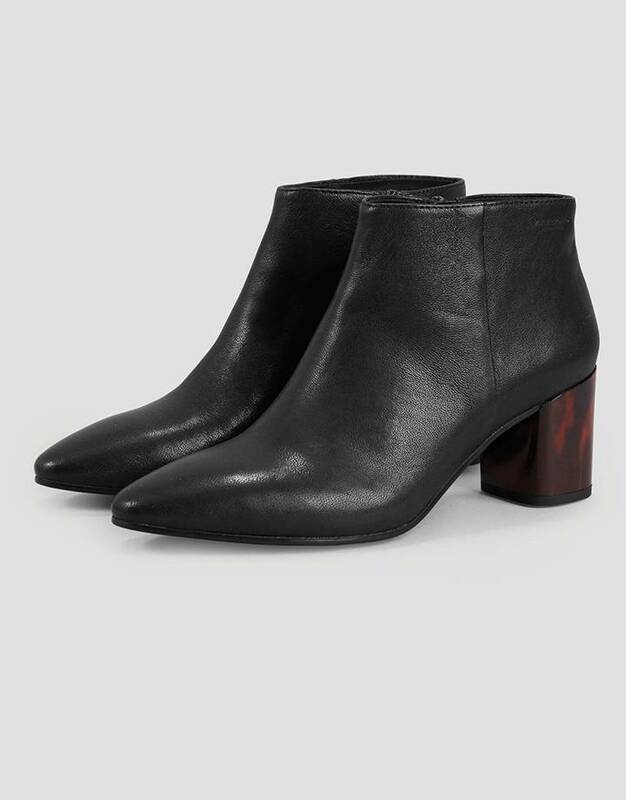 The sleek upper meets the contrasting chunky heel for a contemporary look. 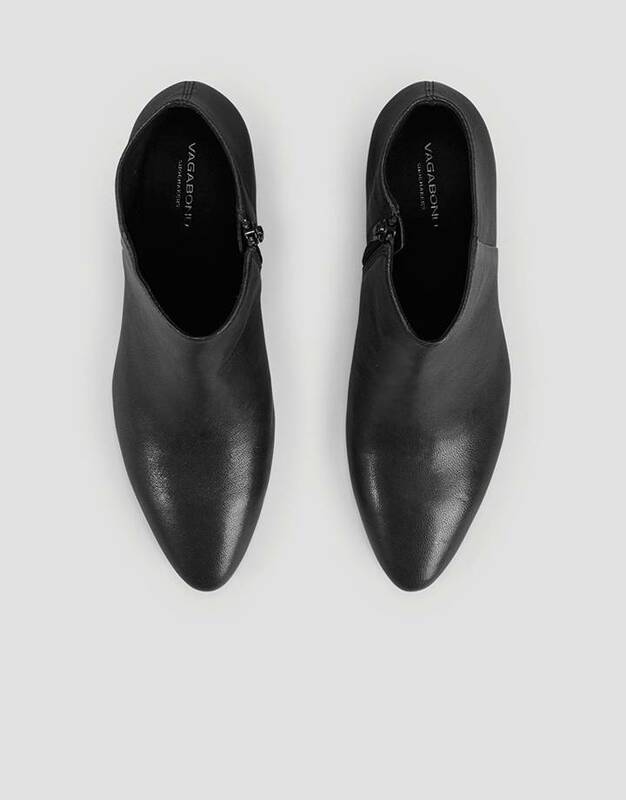 Crafted from smooth black leather.